In academic settings where digital badges are taking over conventional task formats, educators are faced with the challenge of how to deliver and assess content and skills within badges. Imposing a mastery learning approach, where feedback is key, to a digital badge system may be a potential solution to using digital badges within higher education. As a way to support student learning, Guskey, Journal of Advanced Academics, 19(1), 8–31 (2007) emphasizes the importance of not only frequent feedback but specific feedback. In order to examine how students are using feedback to inform their coursework within a digital badge context, an online survey was designed consisting of open-ended questions about the nature and value of instructional feedback within a digital badge system. Results from the questionnaire indicated three major thematic groups illustrating feedback from the students’ perspective: Importance and Nature of Feedback, Authority over Knowledge and Learning, and Learning for Mastery. The online version of this article ( https://doi.org/10.1007/s11528-019-00386-2) contains supplementary material, which is available to authorized users. Erin D. Besser declares that he/she has no conflict of interest. Author Timothy J. Newby declares that he/she has no conflict of interest. Brigham Young University: Instructional Psychology, t. (n.d.). How we use badges. Retrieved November 27, 2014, 2014, from http://iptedtec.org/what-are-badges/. Buell, C. (2013, 2013/08/30). Using Badges to Quantify Learning Outcomes at UC Davis. Retrieved December 10, 2014, 2014, from http://edcetera.rafter.com/using-badges-to-quantify-learning-outcomes-at-uc-davis/. Fain, P. (2014, 2014/01/03). Badging From Within. Retrieved January 27, 2015, 2015, from https://www.insidehighered.com/news/2014/01/03/uc-daviss-groundbreaking-digital-badge-system-newsustainable-agriculture-program. Gibson, D. (2013). 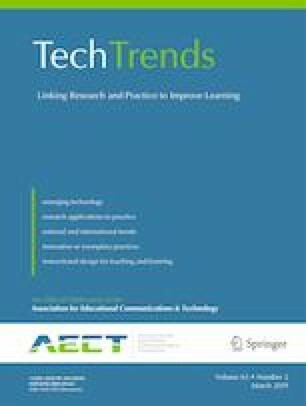 Assessing Deeper Learning in Open Online Learning Communities. Paper presented at the Society for Information Technology & teacher education international conference 2013, New Orleans, Louisiana, United States. http://www.editlib.org/p/48146 . MacArthur Foundation. (n.d.). DePaul University. Retrieved January 27, 2015, 2015 from http://www.macfound.org/grantees/252/. MacArthur Foundation, M. (2014). Digital badges. Retrieved December 6, 2014, from http://www.macfound.org/programs/digital-badges/. Mozilla. (n.d.). Mozilla Open Badges. Retrieved June 12, 2014, from http://openbadges.org/about/. Seton Hall University's Teaching, L., & Technology, C. (n.d.). Stillman Passport. Retrieved December 10, 2014, 2014 from https://tltc.shu.edu/badges/stillmanPassport.php.